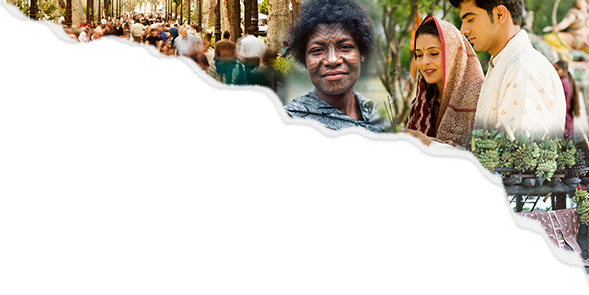 For World Anthropology Day, we asked Paul Stoller to share his thoughts on the urgent need for a more public anthropology, as well as his ideas about blogging as one particular way to reach that public. 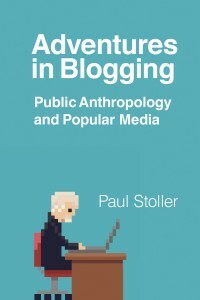 Paul’s forthcoming book, Adventures in Blogging: Public Anthropology and Popular Media, will be available in April. Read an advance excerpt here. We live in troubled times. In North America there is a wholesale assault on science, which, following longstanding practices, produces “inconvenient truths.” These truths stand in stark contrast to “alternative facts,” a patchwork of “big lies” that create a tapestry of untruth on media and social media. Taken together, these untruths have created an alternative universe of meaning. In this alternative universe, up is down, fiction becomes fact, and the truth, the ultimate objective of science, no longer matters. We are fast entering a seemingly limitless Orwellian space in which conspiracy theories are used in the blunt exercise of power that trumps the quest for truth and wisdom—the foundation of scholarship in the world. You can’t fight big lies with small truths. In this distressed environment, it is time for scholars, guardians of inconvenient truths, to meet their fundamental obligation: to produce knowledge that makes life a little bit better for us all. Although the pursuit of wisdom has long been the central obligation of scholars, we now live in a different climate than in years past. Most anthropological insights, for example, have been conveyed by way of scholarly essays and/or monographs. These texts have usually adhered to a strict set of rules. In science you are expected to present your findings and analysis in the bloodless prose of plain style. In so doing, we have let the power of our findings and our analyses—the facts, if you will—speak for themselves in an abstract and inaccessible language. For some time now, the persistent presence of deadly academic prose has meant that the public has little, if any, knowledge of our rigorously derived insights—insights that are important in the contemporary battle for truth. How many people, for example, know about important anthropological insights regarding climate change, racism, the re-emergence of Social Darwinism, the nature of religion and belief systems, the linguistics and cognitive science of propaganda, or the courage and resilience of peoples from what the American President has referred to as “shithole” countries? It’s true that anthropologists are waking up to the political and epistemological realities of a socially mediated world. An ever-increasing number of anthropologists now convey their slowly developed insights in documentary film, in drama, in poetry, in museums, and in media installations—all accessible ways to spread anthropological insights about a wide range of issues of social, economic, and political importance. I am one of many anthropologists who have felt the need to go public. In 2010, I realized that very few people had read what I had laboriously written in a narrative style designed for a broad audience. Despite my best efforts I understood that fewer and fewer people had the inclination to read anthropological works, including, of course, my own books and articles. I didn’t think it wise to abandon my professional writing, but felt compelled to blog anthropology by transforming complex ideas into simply stated and crisply written posts of 750 to 850 words. At first it was difficult to simplify tried and true academic prose, but after some false starts I found my blog rhythm and moved forward. I pitched an idea to HuffPost. I’ve been blogging anthropology ever since. In eight years of HuffPost blogging, some of my posts have spread far and wide in the blogosphere where readers liked, favorited, shared, and re-tweeted them. In some cases, 50,000 to 75,000 people would read my posts, meaning that the blogs had informed them of anthropological insights about US politics, the practice of social science, trends toward corporatization in higher education, critiques of shallow media representations, and narratives about the texture of human wellbeing. These days there are increasing numbers of scholars who are blogging anthropology. Most of them write skillfully about more or less anthropological subjects—especially emerging topics in archaeology and biological anthropology. In my blogs, by contrast, I have tried to bring anthropological insights to newsworthy events—the Presidential campaigns of 2012 and 2016, the dysfunction of the US Congress, the anti-intellectual war on science and social science, climate change, superstorms, and social dislocation. In the blogs, I make sure to highlight examples of apt anthropological concepts and demonstrate the wisdom non-western knowledge. I wrote Adventures in Blogging to show—rather than tell—anthropologists how they can use the medium as a powerful tool for mass education, a platform that connects disparate audiences. In this way, the book underscores how blogging anthropology increases cross-cultural understanding in a globally inter-connected world. 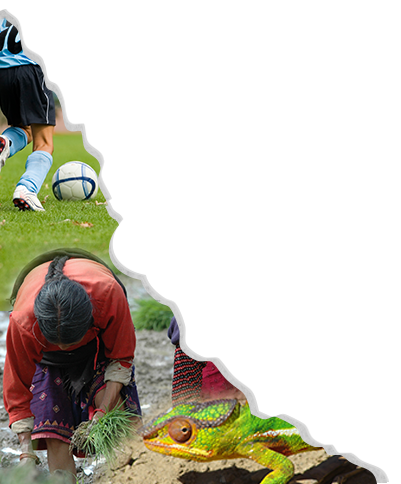 Blogging anthropology is a different way of sharing anthropological knowledge. In today’s world, it’s a difference that makes a difference. Paul Stoller is Professor of Anthropology at West Chester University. He has published 14 books, including ethnographies, biographies, memoirs, and novels, and is a recipient of a Guggenheim Fellowship and the Robert B. Textor Award for Excellence in Anthropology. In 2013, King Carl XVI Gustav of Sweden presented him the Anders Retzius Gold Medal in Anthropology. In 2015, the American Anthropological Association awarded him the Anthropology in Media Award. He lectures and conducts writing workshops in the United States and Europe. This piece is cross-posted on the main UTP blog.